What is an instant approval credit card or instant decision credits card? As the name shows, once you apply you get an instant reply on your application status. This could mean that either you got approved or don’t get approved. It does not mean an applicant will get automatically approved. However, the chances of getting approved for an instant credit card are usually higher. The fastest way to get hold of one of these cards is by doing the application process online. With online applications, you can get instant approval within a few minutes. What are Pre Approved Credit Cards? When a credit card company shortlists customers in order to offer them a card, it is a pre-approved card. The way how companies do this is simple. They get information from the credit bureaus to decide who would be eligible for the card. This means the offer is given mostly to customers who have a good credit history. Those who have a bad credit score can also receive offers, but in most cases, it will be laced with higher interest rates or higher monthly fees. There could be a lot of reasons why people sign up for this type of card. But in most cases, it is done when they need one immediately. People who are planning to travel are some of the biggest customers for instant decision credit cards. They may not intend on using it a lot when they travel but see it more as a backup option. The second type of customer to sign up is the one who has never owned a credit card and sees it as an entry level opportunity to dip their toes in the credit card world. This is because in many cases instant cards have fewer restrictions, such as bad credit, in place to get approved. The following are some examples of instant decision credit cards. Another instant credit card, this one is from OpenSky and it comes with most of the bells and whistles you would expect from this type of card. Highlights of this card include no credit check and hassle-free application process. However, since it is a secured credit card, credit limits are decided based on the amount of money you put in the security deposit. OpenSky Secured Visa Credit Card does report your transactions with the card to all three credit bureaus. If planning to apply, then it will need to be done through their online system. This card gets consistently rated as one of the best ones in its class. 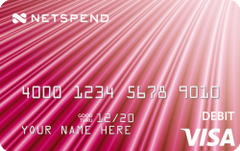 The Pink Netspend Visa Prepaid Card has some interesting features that set it apart from the rest. The most prominent among them would be getting government benefits and paychecks two days earlier via direct deposit. 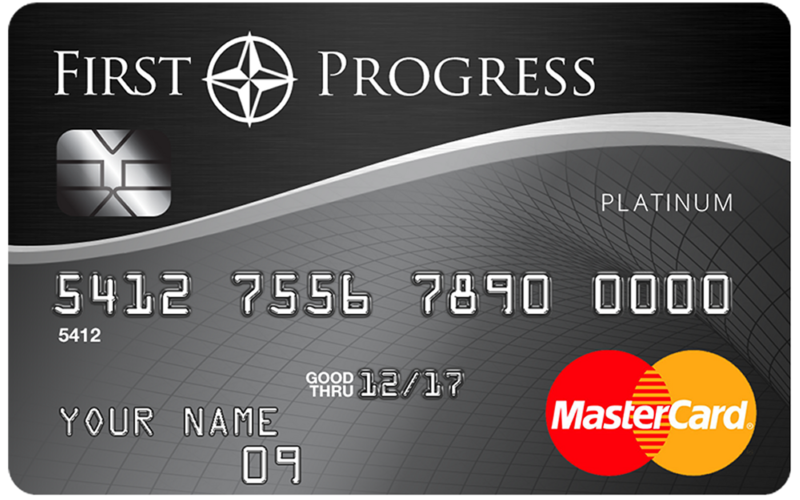 Since this card is not technically a credit card, because it goes by the prepaid card rules, there are no late fees or credit checks required to get one. The card is given offered through Metabank, which is a member of the FDIC. There is a mobile app which the user can download and use to manage the account. You will also get real-time text message alerts. Credit cards that are instant approval are often made for repairing your credit, but you need to know what you can do with credit cards with instant decision offers. You might need to make some instant purchases with these cards, or you could use these cards to repair your credit. Will these cards improve credit scores? These cards will help your credit score improve provided that you have used the card well, kept it in good standing, and possibly upgraded to another card that will give you more room to spend. Will These Cards Improve Credit Scores? Credit cards that are instant approval often improve credit scores because they will give you something that looks good on your credit report. You might get credit cards with instant decision offers in the mail, or you could get credit cards with instant decisions offers in your email. You should look into each of these cards because they often give you a good interest rate, and that makes it much easier for you to begin spending right away. You need these cards because they allow you to pay for emergencies, or they allow you to pay off something that might have been problematic because the other credit card’s rate was too high. Will These Cards Improve Credit Scores Faster? You could get a couple of these cards to improve your credit score faster, but you have to keep them for longer periods of time so that you can establish credit that is much more powerful. You will also find that you could use the cards when you make purchases during the course of the day. The cards will improve your credit providing that they are left open, and you must continue to pick up these cards if you believe that they could be helpful to you. You simply need to decide if you can get a card that will give you the best chance of paying for life’s expenses in an affordable way. You get these promotions all the time, and you must choose the credit cards that are instant approval from a long list that gives you many different ways to pay for your unexpected purchases. You could use the credit cards because you have no other available credit, or you could use them because you do not want to pull that money out of your bank account right away. Someone who is trying to manage their money in a better way will use these cards because they have more flexibility, and you can use the customer service line of the company to get information on lowering the interest rate. You should choose something that offers rewards. You might choose a card that gives you cash back, or you could choose a rewards card that is attached to a merchant or vendor you have used more often than not. You might keep these cards because you want to get rewards for that peculiar merchant, or you could use a generic card to get gas miles or airline miles. You will have a lovely time getting a little bit back from these cards because all those rewards go to your gas, your hotel, your rental car, or your travel. You can save money over the course of the year, and you will find that rewards cards are often good for repairing credit because they do not do much else. These cards are offered by gas stations, hotel chains, and airlines that people often forget about. How Do You Get Promotional Rates? You can get promotional rates from these cards at any time, and they often offer a promotional rate just to get you to sign up. There are many people who will find that they could get a promotional rate just for balance transfers, or they could use the promotional rates because they need to make a major purchase. This is the perfect time to sign up for these cards, and you should see if the company has special programs at certain times of the year. You will find the best time to get the card, and you will learn about promotional rates that are unique to that company over their competitors. You can keep your payments low with these cards if you call the company to ask for better rates in the future. You could get your payments so low that you will never have to worry about them, and you also have to remember that the company is happy to work with you because they need to keep your business. They are afraid that you will move to a competitor, and they will often give you a better interest rate so that you can save money. You will always get what you want when you ask, and you will begin to notice that your payments are dropping every month because you have taken the initiative with all the companies that you work with. You need to call the customer care team for the card when you need help with your purchases, or you could call the customer care team for the bank that offers the card. They might offer you help with major purchases, help you make bookings that you could not do on your own, or help you with merchant discounts that you cannot get with other cards. This includes the merchant that might be attached to the card. You must find a credit card that will approve right now, help you make purchases for less money, and give you the best possible interest rate along with rewards.